The Australian GST Handbook 2017-18 comprehensively explains the operation of the GST system, covering all aspects of the GST legislation and its relationship with other taxes, including income tax and FBT. The Handbook uses a highly explanatory style, with a depth of coverage and analysis not matched by other GST guides. Its emphasis is on practical explanations of the GST system, with a critical appraisal of relevant legislation, rulings and cases. Solid understanding of all areas is facilitated by overviews and worked examples. Written from practical GST experience, the Handbook is indispensable for practitioners and students alike. The 2017-18 edition is accurate and up-to-date as at 1 July 2017. The online version of the Australian GST Handbook is updated quarterly throughout the year. 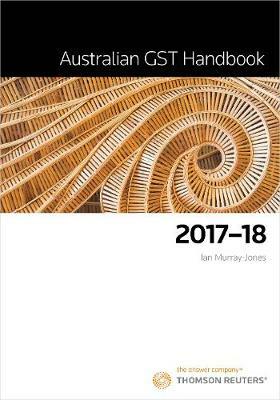 Australian GST Handbook is also available as an e-book.